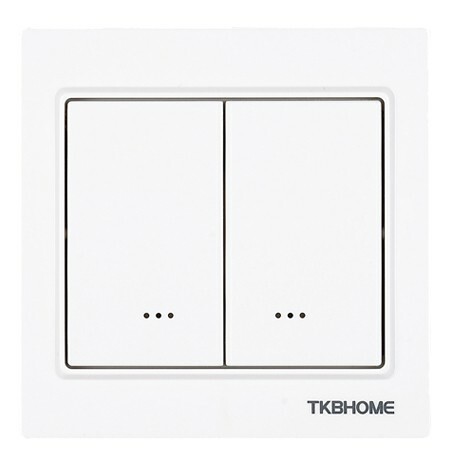 Product information "TKB Home Wall Dimmer Switch with Dual Paddle (Cornered Edges)"
The dual paddle dimmer switch by TKB Home is a wall switch with integrated relay and 2 rocker buttons. The relay can switch and dim one electrical load with up to 300 watts. With the left rocker button or via Z-Wave radio, you can switch and dim the connected load. Besides, further actions within the Z-Wave network can be triggered via single and double click by the right switch button. Related links to "TKB Home Wall Dimmer Switch with Dual Paddle (Cornered Edges)"